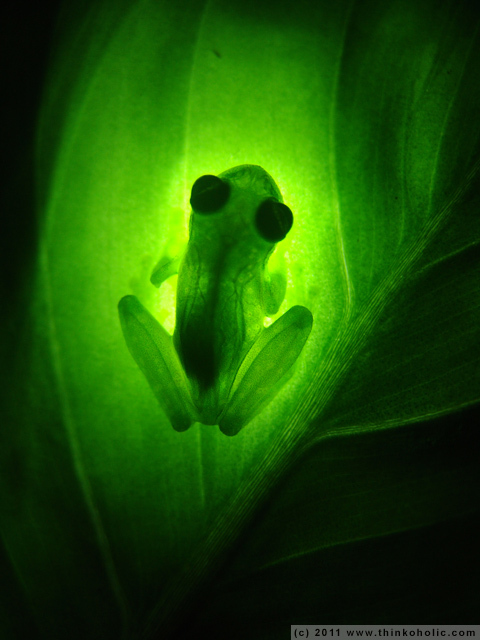 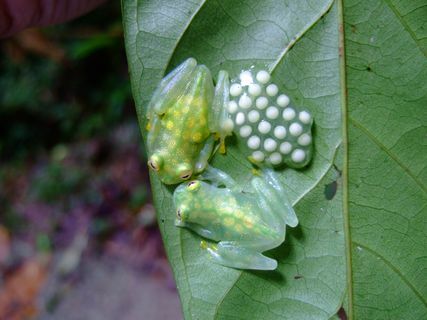 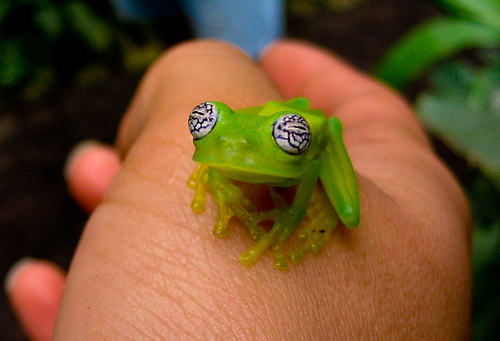 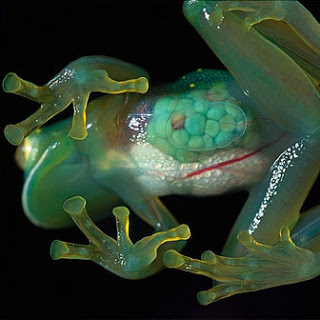 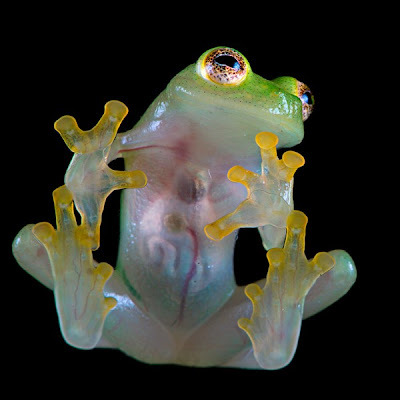 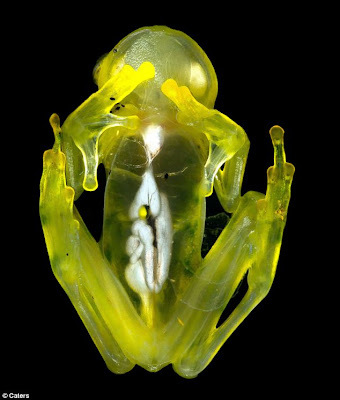 The glass frog (family Centrolenidae; order Anura) is one of those bizarre and fascinating creatures in this world. 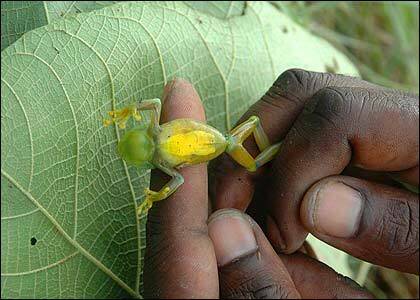 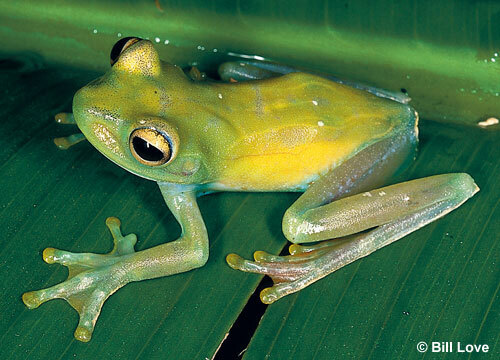 Upon looking down at this amphibian, the first thing you might notice is its soft lime-green color. 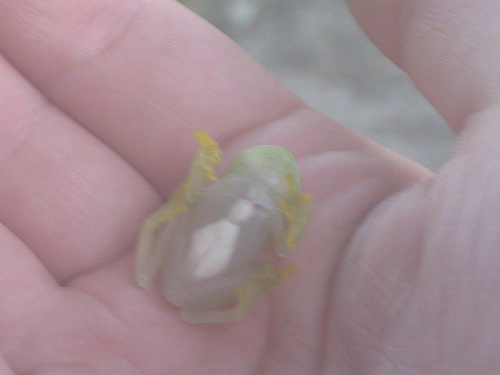 But if you were to turn him over, a quick glance at his abdomen would catch your attention. 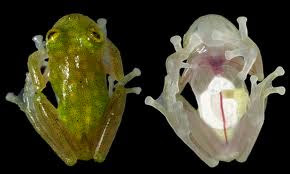 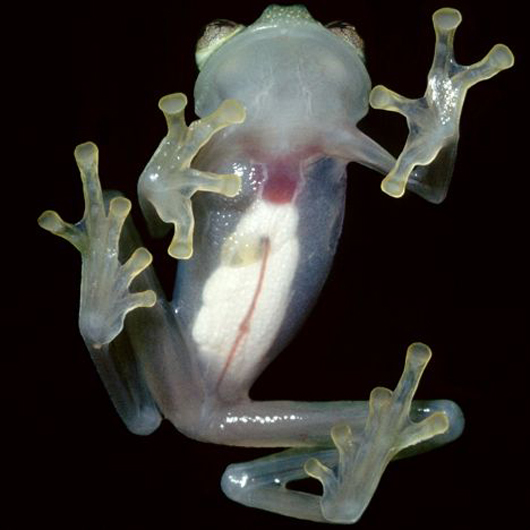 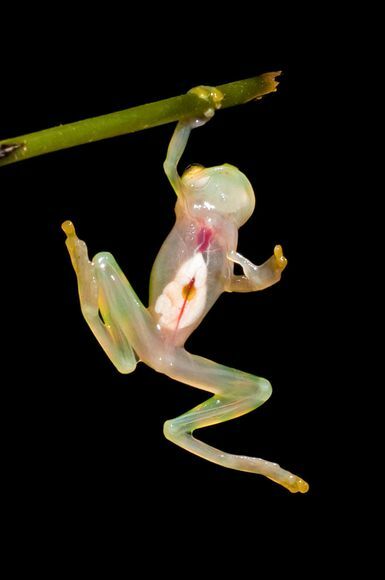 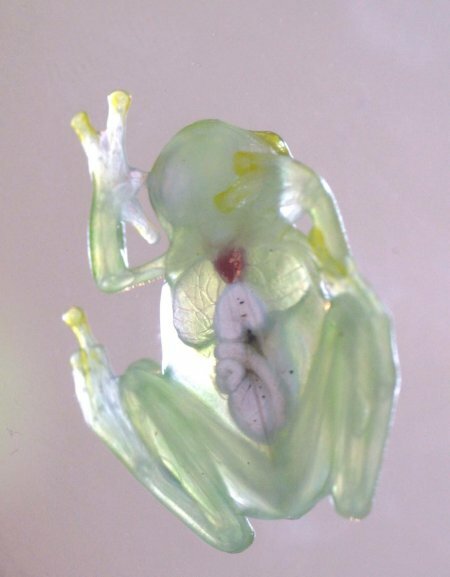 The glass frog’s stomach is completely transparent! 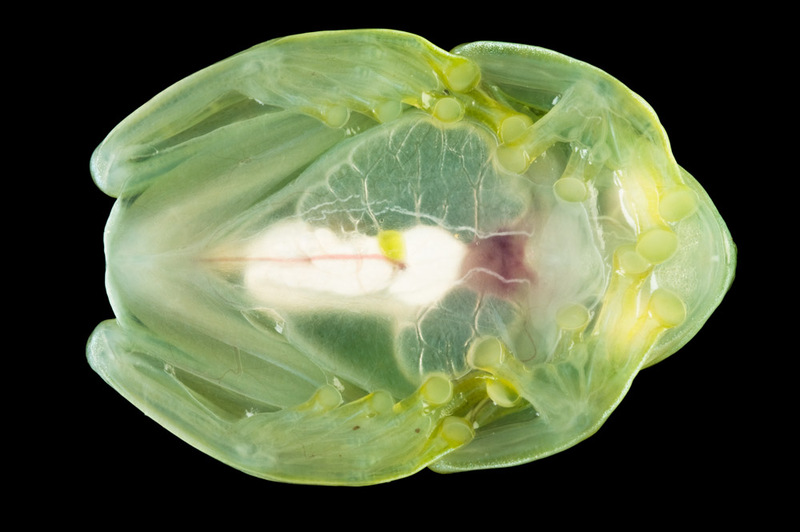 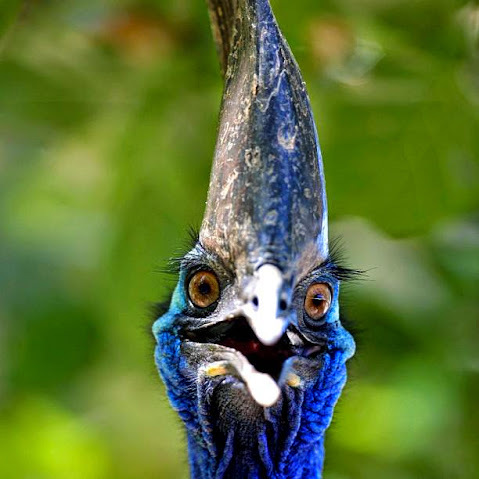 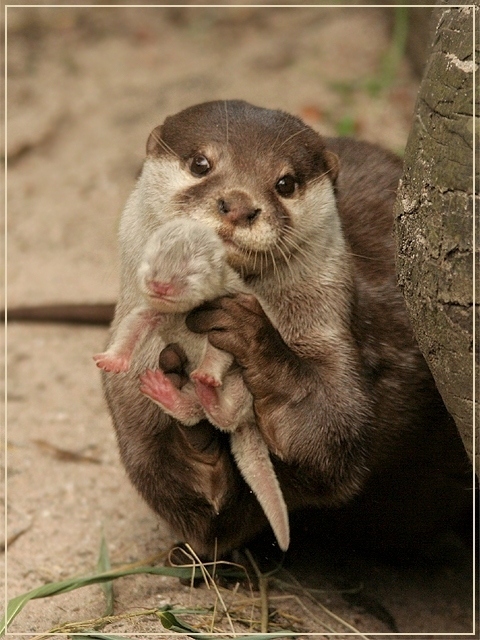 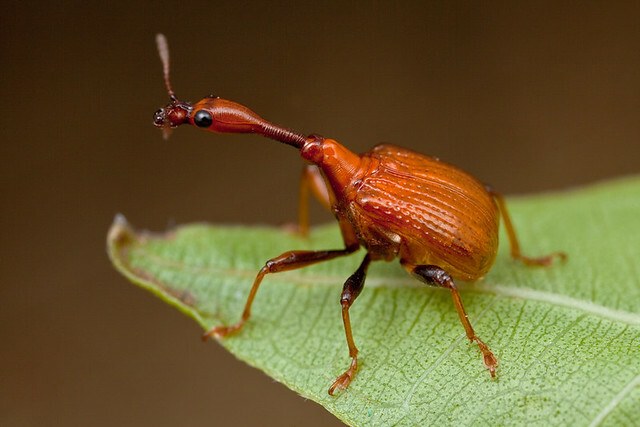 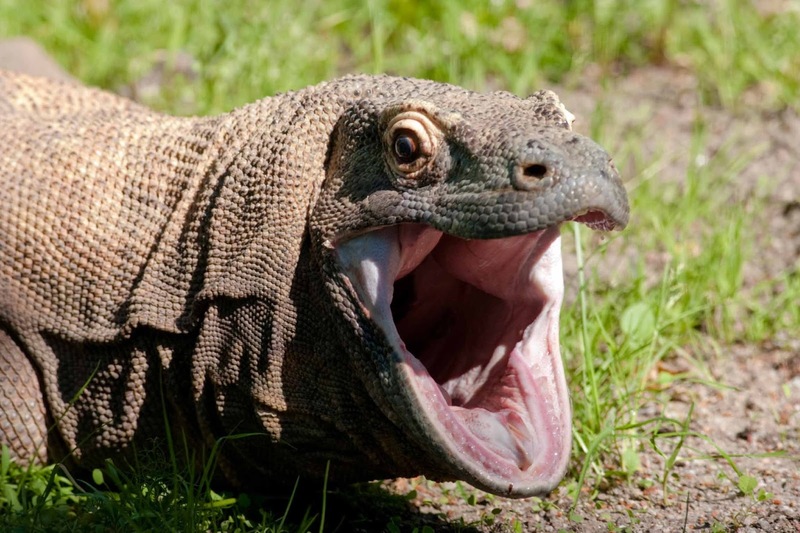 Close examination of this unique creature reveals a fully visible system of organs, including the heart, liver, and full intestinal tract. 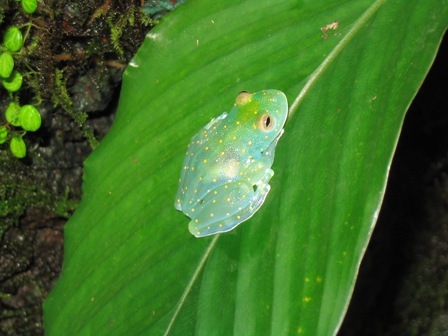 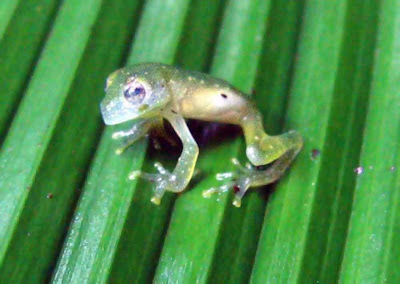 Scientists believe that earlier frogs of this species evolved to have this trait for camouflage; while perched on a leaf or branch, they are extremely difficult to spot from a distance.